Check out these other Mom blogs below that we follow and love! ​To visit their blogs, click on the pictures! The extremely popular parenting blog authored by mother Amber Dusick about her on going adventures raising two children! This blog is a MUST! Follow Britt, who is also a regular contributor to the Cape Cod Moms blog, as she blogs about all kinds of things that life throws her way! 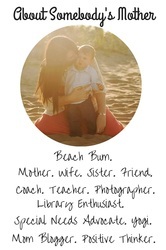 Highly entertaining blog written by an extremely talented and crafty Mom about family stories and all things Scarppy! Melissa is the Cape Cod guru Mom on scrapbooking! Read more about tips she has and funny stories she shares!